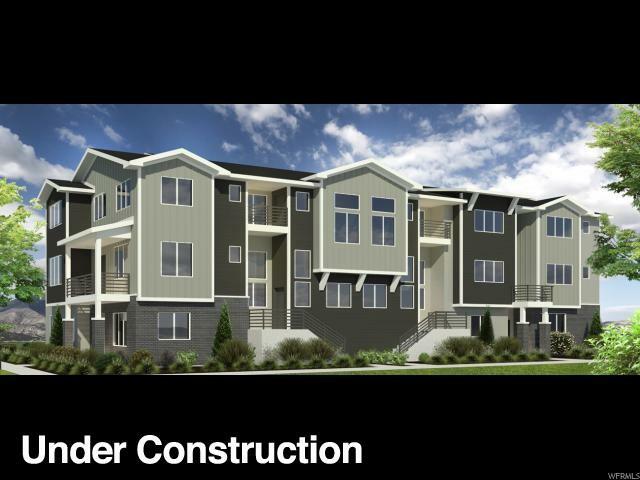 Brand new townhomes in Day Ranch Bluffdale! Creative, modern space living! The Buckingham features open to above living room, 9 ft ceiling on main level, spacious kitchen/great room, kitchen island, white cabinets, granite counter tops in kitchen, wood laminate floors, tile in bathrooms and upgraded stair railing! Located near 2 large parks, future elementary and middle schools, 5 minutes to Lehi and Silicon Slopes with easy access to I15! Listing provided courtesy of Woodside Homes. Information deemed reliable but not guaranteed accurate. Buyer to verify all information. © 2019 Wasatch Front Regional Multiple Listing Service, Inc., All Rights Reserved.